ItemCUMB_2001.021.002 - Porcelain Bowl with Floral Pattern from Chinatown, Cumberland B.C. Item CUMB_2001.021.002 - Porcelain Bowl with Floral Pattern from Chinatown, Cumberland B.C. 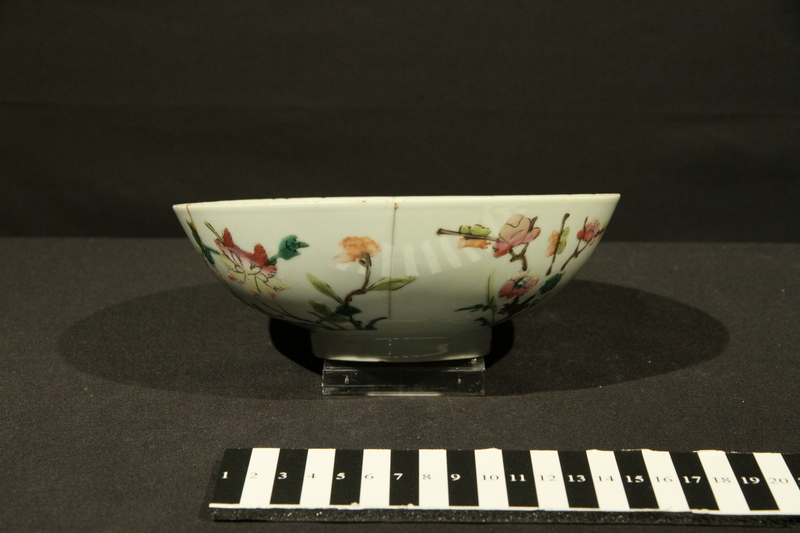 6.5 cm x 18 cm diam; 1 bowl; porcelain; white, red, pink, green, floral pattern.